Admitting defeat was hurting me in more ways than one. Because the journey back down was even more painful than the initial ascent given the weight on my back and the impact that this was having on my knees. Every step was making me wince. But I soon worked out that if I walked in a zig-zag motion rather than taking full vertical steps, the impact became much more manageable. My mind became awash with crushing feelings of having been defeated. I’d not even completed half the journey that I’d set myself and I wouldn’t reach Low Tarn. It felt like failure. And I felt like a failure too. I’d wanted my first wild camping experience to be at an elevation with a jaw-dropping view in front of me, but at this rate I’d be spending my night on the valley floor. This wasn’t how I’d seen my day ending. But in reality I knew that the only way in which I’d failed was in the expectations I’d set for myself. It’s in my nature to push myself hard and to create ambitious goals to work towards, and I believe that this is a good thing. But there are times in which I’m too hard on myself, and I knew inside that this was one such time. I’d always known that this trip was an opportunity to learn about wild camping and all the things that do and don’t work. I couldn’t be expected to get every single thing right, and my only failing had been in misjudging my packing, and misjudging the gradient lines on my map when I changed my route. These were errors that could easily be put right next time. I came to a stop, still high up on the mountainside, and I looked out over Mosedale Valley where the sun was starting to lower in the sky. The view before me was breathtaking and I took a moment to take a mouthful of water and to say a few words of quiet thanks for the moment that I suddenly found myself in. Regardless of my disappointment, I was here. Smiling, I took another mouthful of water and glanced over to my right. I suddenly took the bottle away from my mouth and squinted. Was I imagining this? About fifty or sixty metres away from me lay a small grassy area amongst the steep incline of rocks where the ground seemed to level out, creating what appeared to be a plateau. A plateau that was the perfect size for a small tent! I clambered down over the rocks, ignoring the pain in my knees, and as I got closer to the grassy spot my heart started to somersault in my chest. I took my backpack off my shoulders and walked out onto the beautiful soft grass that now surrounded me. It was like a carpet with the spongiest underlay you could imagine! 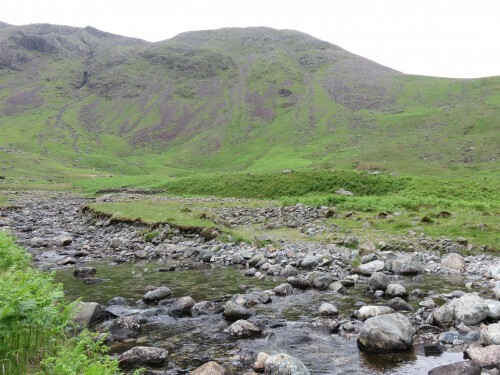 All around me the ground continued to descend against the mountainside, but in just this one area at the very end of Mosedale Valley, high up on the banks of the mountainside, I’d found myself the perfect spot for my first night out in the wilds. I’d found my Plan B. Who knows, maybe I wasn’t meant to reach Low Tarn on this occasion. Maybe I was meant to be here instead. Or maybe it’s just a positive mindset that can allow you to find meaning in any situation you find yourself in. Either way, I was happy. To my back and to my sides was a huge and beautiful horseshoe of grass and rock, and directly in front of me lay the most incredible view out into the valley. I was roughly halfway up the mountainside, and below me I could see the stream that cut its way through the valley floor, extending as far as the eye could see. There was a raised area of rock in front of me which I could use to sit on and which could also act as a windbreak if the weather were to turn. And about ten metres to my right was a magnificent tiered waterfall that cascaded over rocks and into the waiting rock pools below. Although the sun was starting to set and the temperature was beginning to dip, it was still light and too early for me to set up my tent; and so instead I got out my camping stove, set it up on the raised rock, and began to make a much needed and well deserved coffee. As I held the hot cup in both hands, I closed my eyes and allowed the steam to warm my face while I breathed in the incredible aroma of the espresso-based coffee. It really is amazing how some of the simplest of pleasures can become magnified as being something truly epic under the right circumstances. In this moment I didn’t need anything more than the view, my thoughts, and a hot drink. It was bliss. A little while later I cooked up a meal of boil-in-the-bag meatballs and pasta, which I quickly followed up with a second meal of chilli-con-carne. With my belly full and my caffeine levels topped up, I felt content. As the sun disappeared and night began to fall, I set up my tent and prepared my bed for the night. Even now as a 39 year old man, I still get the same buzz from setting up a tent as I did when I was a child. No matter how old we get I think we never really outgrow our childhood roots, and just like many other guys out there, I too was always a kid that loved to build a den. And it’s the same kind of sensation that kicked in right now, because when you’re a child you very often build a den in a place that is a little mischievous and which makes you feel even slightly rebellious. And that’s exactly what this was too. I was setting up a den for the night in a way in which is not entirely legal. I knew that I’d be doing no harm, and I knew that I would conduct myself respectfully, but even so, I was still being a rebel and I was behaving like a mischievous kid in an adult’s body. And it felt absolutely brilliant. The midges were still continuing to irritate me and so I lit up a mosquito coil and then bedded down on top of the raised area of rock. It was the first time I’d lit a mosquito coil since being in Thailand and immediately the sweet aroma invoked wonderful memories of Pad Thai and Chang beer. I boiled up another cup of coffee and then sat atop the rocks. Looking around me through a swirl of mosquito coil smoke, I watched in amazement as the mountains became silhouettes against the advancing night sky. I’ll admit that shortly after I’d eaten dinner and before I’d put my tent up, I was left feeling slightly deflated. At that time I’d felt like nothing more than somebody who was out walking for the day. It didn’t feel like camping and it didn’t feel like I thought it would, but that had all changed the moment that night fell and I’d set up camp. It was at this point where my wild camping experience really began; it was that moment when I realised that I was still out in the wilds at a time of day when the regular walkers would either be back at their homes or were sat in the pub, recounting the tales of their day. While everybody else had left, I was the one that remained. While other people would be sleeping indoors on a mattress, I would be sleeping outdoors on grass with a waterfall running beside me. This was the real turning point for me. It was the game changer. As night continued to fall and the temperature continued to drop, there felt like very little reason to stay awake. Time meant nothing to me in the Lake District, and I understood why throughout history, man has gone to sleep and woken up in accordance with sunrise and sunset. Nature doesn’t work around a ticking clock. Climbing into my sleeping bag I switched off my travel lantern and just lay there in the dark. I began to think about what my friends were doing with their evenings, I thought about when I could see my family next, and I found myself wanting to say goodnight to my girlfriend. But as I pulled out my phone I was still greeted with a ‘no service’ message. The sheep had descended the hillside for the night and I could no longer hear their bleating. I’d even noticed that the midges had retreated too. I was well and truly alone, and although this hit me a little at first, I soon took stock in knowing that I’d be back around everybody the very next day. I felt recharged and the time alone had done me good, but I was ready to get back to the people that I loved. I turned onto my side and lay peacefully with a smile on my face while I continued to listen to the waterfall. It was beautiful, it was tranquil, and it was like nature’s lullaby. Now perhaps the question that is on your lips may be the same question that most people have asked me up to now. Did it scare me to go camping alone, out in the wilds? And the answer to that is a resounding ‘no’. Well, I say no, but that was until about 4am when I was suddenly awoken by the sound of a gentle tapping on my tent. I sat bolt upright with my heart pounding in my chest, and then I held my breath and listened for any further noises. After a while my breathing steadied and I accepted that maybe it was just a random couple of spots of rain, or that maybe a passing bird did a big double-poo on my tent. Either way, after I’d eventually calmed down I suddenly found myself wide awake and still on high alert. I decided to get out of my tent for a little while, and as I climbed out dressed only in my socks and pants, I was surprised to feel how mild it was. As I stood looking around me I felt overwhelmed by the reality of the moment. Here I was on the side of a mountain in the Lake District with the sound of a waterfall running alongside me; it was 4am and I was stood in amongst the silhouettes of the night, and I was in my underwear. That’s not something you find yourself saying very often. It was like I was in the middle of a dream. 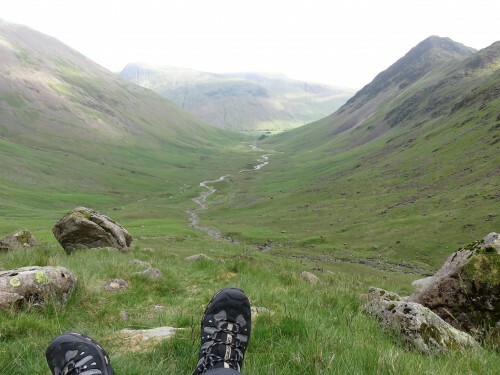 About two to three hours later I awoke to the sound of birdsong, and after climbing out of my tent and rubbing the sleep from my eyes, I could see that it was now dawn in the valley and that full daylight would soon be here. I cooked up an ‘all day breakfast’ on the camping stove and brewed myself a much needed cup of coffee. Sitting up on the rocks, I sat in silence and allowed myself to steadily wake up as I breathed in the aroma of my morning brew, and I felt happy and content as I listened to the birds singing their songs. With a belly full of breakfast I packed up my tent and prepared my backpack; then looking around me I felt proud to be able to say that you couldn’t even tell that I’d been there. There was no damage, no litter, and I was leaving everything exactly as I’d found it. …and this is exactly what I took, and exactly what I left. I took one last look around and smiled with the knowledge of what I’d achieved. About twelve hours earlier I’d suffered an intense feeling of failure, but now I was leaving with a sweet sense of victory. I descended the mountainside and walked back through the misty valley, weaving in amongst inquisitive sheep and staying close to the stream. I felt lighter in my stride today and was much more at ease with myself. 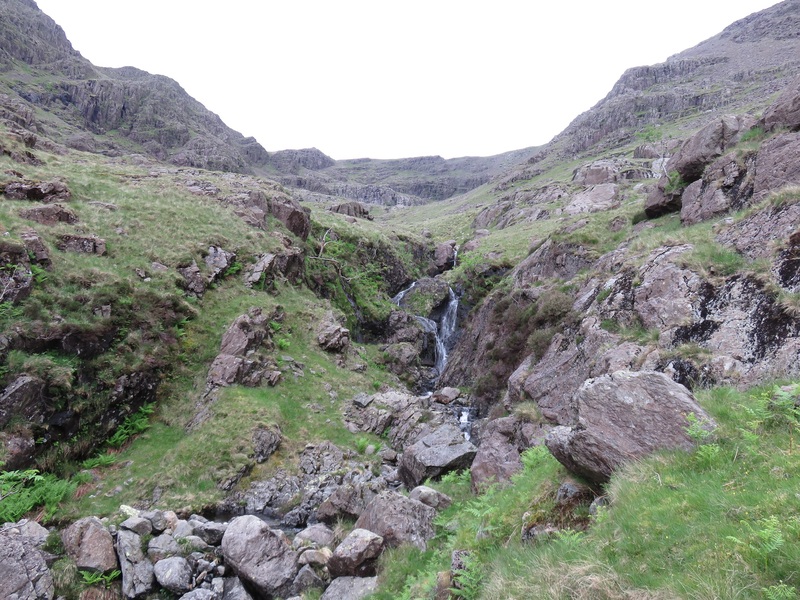 As I climbed over a turn-style and hopped from one side of the stream to the other, I got to thinking about the lessons of wild camping. 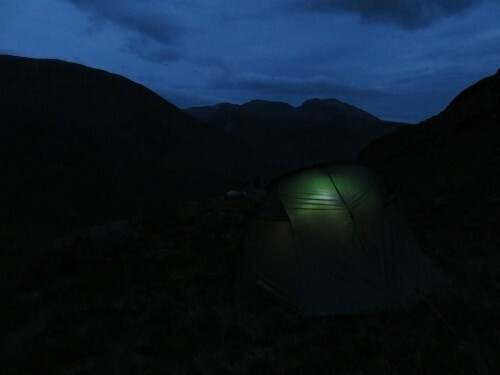 And it seems to me that if we can spend a night sleeping out in the wilds without leaving any trace of our visit, and if we can return home with a much deeper respect for nature and a passion to help protect it, then how could it ever be a bad thing? 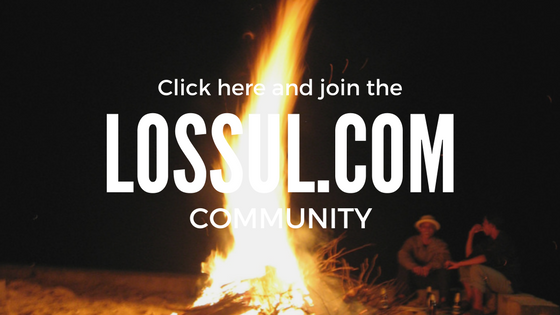 If done correctly, wild camping is an education. And it is an education that you cannot learn from a movie, from a book, or even from a website like this. It is something that you need to try for yourself in order to really understand its lesson. Maybe it isn’t for everybody, but for those that believe in it there is no doubt that the more we’re in amongst nature, the more we begin to feel physically, mentally, and even spiritually connected to it. I’d felt it many times before, but never quite like I did this time; sleeping out alongside nature had been something else entirely, and I know that it is something that I could easily get addicted to. I said at the beginning of this feature that the one word I’d use to describe camping was freedom. 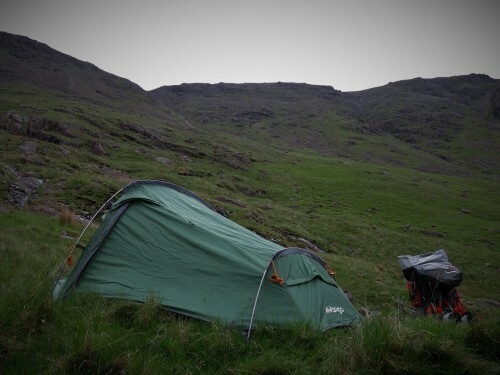 But now, having enjoyed my first proper wild camping experience, I’d like to add one more word; liberating. I couldn’t wait for my next adventure to begin. If you would like to view more videos from this trip then please head to the video section by clicking here.